GET AN EDGE: pick ONE of our MANIADVANTAGES and step up your game! Betting is a science, and we want you to tackle this complex discipline with the best tools in the industry. BETMANIA is proud to introduce the MANIADVANTAGES plan, a player enhancement program designed to improve your winning chances and take you to the next level. BETMANIA has selected 3 top sports by their general popularity; review each MANIADVANTAGES carefully and choose the right one for you. Click on the images for each program to learn more. (Football & Basketball Only): get a-107 Football or -108 Basketball juice deal. Applicable on sides and totals through the entire season. Our Players may only choose 1 per account. They may switch advantage plan or cancel it upon the completion of the third continuous month of enrollment and use. Depending on player history or action, our users may request to be enrolled into an additional advantage plan; we recommend our players contact our Customer Service Department directly in order to review the possibility of acquiring additional advantage plan(s). Our Player Enhancement Program (MANIADVANTAGES) is intended for recreational players only. BETMANIA holds the right to withhold any MANIADVANTAGES privileges from any players if it deems it prudent and necessary. Only depositors of $300 or more will be eligible for this program. Please make sure to contact our Customer Service Dept at @ 1-888-40-MANIA (62642) or via LIVE CHAT for information on eligible deposit options and additional MANIADVANTAGES guidelines. Eventual/additional deposits of $300 or more do not entitle the player to additional advantage plans; players must wait the mandatory 3 month period before any plan changes may be allowed. (Football & Basketball Only) BETMANIA EXCLUSIVE: save your well-invested betting dollars with our Crazy Teaser Odds; get a discount on Regular 2 Team and 3-4 Team Special Teasers. Ties in your Crazy Special Teasers no longer mean losing your bet! 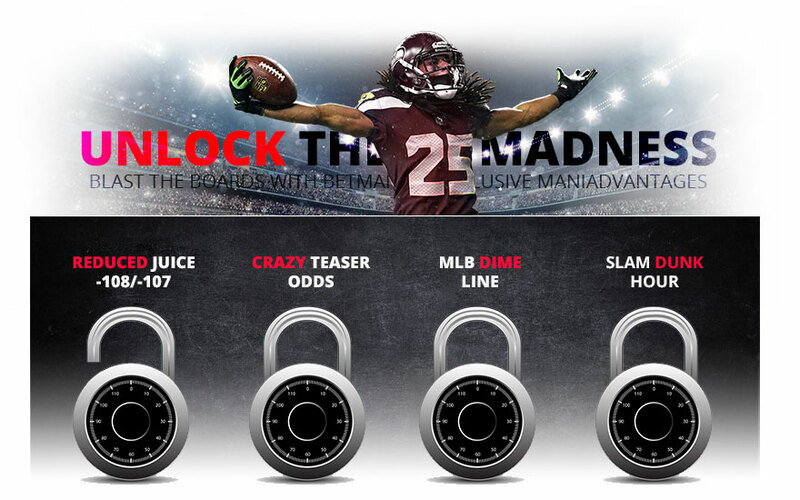 CRAZY TEASER ODDS (Football & Basketball Only) BETMANIA EXCLUSIVE: save your well-invested betting dollars with our Crazy Teaser Odds; get a discount on Regular 2 Team and 3-4 Team Special Teasers. Ties in your Crazy Special Teasers no longer mean losing your bet! Our Players may only choose 1 MANIADVANTAGES per account. They may switch advantage plan or cancel it upon the completion of the third continuous month of enrollment and use. Depending on player history or action, our users may request to be enrolled into an additional advantage plan; we recommend our players contact our Customer Service Department directly in order to review the possibility of acquiring additional advantage plan(s). 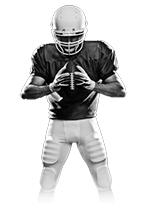 Our Player Enhancement Program (MANIADVANTAGES) is intended for recreational players only. BETMANIA holds the right to withhold any MANIADVANTAGES privileges from any players if it deems it prudent and necessary. A tie in a 3/4 Crazy Special Teaser will not result in a loss but in a push instead, bets will automatically revert to the remaining number of active parts. (Basketball Only): Burn the nets with our Free Half Point Happy Hour on sides and totals. Applicable Monday through Friday, between 2 & 3 pm ET. SLAM DUNK HOUR (Basketball Only): Burn the nets with our Free Half Point Happy Hour on sides and totals. Applicable Monday through Friday, between 2 & 3 pm ET. Give an edge to your basketball plays with our Slam Dunk Hour free half point special. Deposit $300 or more and contact our Customer Service team at @ 1-888-40-MANIA(62642) or click our LIVE CHAT option to enroll. Earn additional MANIADVANTAGES over time with extended play! Our players may place their SLAM DUNK HOUR free half point bets over the phone or through our website, within the stipulated time frame. (Baseball Only): pay less for your baseball plays. Receive a regular season long Dime Line plan. Applicable on baseball money lines up to -190 price. MLB DIME LINE (Baseball Only): pay less for your baseball plays. Receive a regular season-long Dime Line plan. Applicable on baseball money lines up to -190 price. Search your bettor's heart: pick the one sport you enjoy betting on the most. Plan your strategy with care: each sport has its particular time slot in the yearly calendar; select the plan that better applies to your action of the next three months. 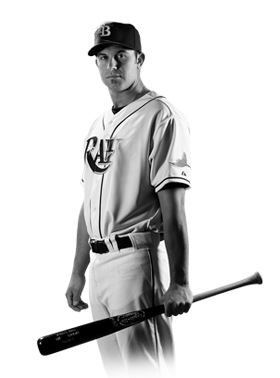 While our MANIADVANTAGES are available to all players, only deposits of $300 or more are eligible for the program. Don't let the action stop: the more you play the more MANIADVANTAGES you can add to your plan. Contact our support staff to get information on your action volume and to review the possibility of enrolling additional programs. "Luck is what happens when preparation meets opportunity" - said the great roman philosopher Seneca, and he wasn't mistaken. Don't leave it all to chance; take the MANIADVANTAGE that better fits your action and prepare to enjoy betting like never before! Make sure to become familiar with the Rules and Regulations applicable to this program before completing the enrollment process. UNLEASH THE MADNESS! - Join BETMANIA Now and start betting the way you always dreamt of. Not all deposit options are eligible for the plan; call our friendly Customer Service Staff @ 1-888-40-MANIA(62642) or click our LIVE CHAT option for detailed information on valid funding alternatives. Our Players may only choose 1 MANIADVANTAGE per account. They may switch advantage plan or cancel it upon the completion of the third continuous month of enrollment and use. Depending on player history or action, our users may request to be enrolled into an additional advantage plan; we recommend our players contact our Customer Service Department directly in order to review the possibility of acquiring additional advantage plan(s). 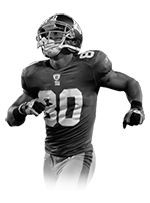 Our Player Enhancement Program (MANIADVANTAGES) is intended for recreational players only. BETMANIA holds the right to withhold any MANIADVANTAGE privileges from any players if it deems it prudent and necessary. Players may receive one other BETMANIA regular reward on top of the deposit made to enroll into the MANIADVANTAGES program. Please check our Bonuses Section for additional information on our running deposit bonuses. Customers may receive regular bonuses on subsequent deposits while also enrolled in this program. Reduced Juice: -107 Football/-108 Basketball. Applicable on all sides and totals, all season long. MLB Dime Line: applicable to MLB money line bets up to -190 price. MLB Regular Season only. Slam Dunk Hour: applicable on sides and totals. Regular NBA and NCAA Seasons only. Players must make their bets between 2 and 3 pm ET in order to receive the free half point. Blast the boards with BETMANIA's exclusive MANIADVANTAGES. Open your account and choose one of our unique player enhancement plans for an improved betting experience. 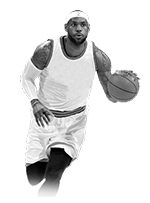 Get Reduced Juice on Football and Basketball, receive amazing teaser discounts with our Crazy Teasers, maximize your baseball bankroll with our MLB Dime Line program or join our Slam Dunk Hour club and get a free half point for your Basketball plays.